A high performing versatile petrol machine, powered by a 35cc Kawasaki 2-stroke engine. The BK35ED is supplied complete with a Tap N'go nylon line head which allows you to renew the line as it wears merely by tapping the auto-feed line head on the ground when the machine is in use. It is also supplied with a professional high speed trimmer head for heavy duty use, along with a 3 toothed metal blade. 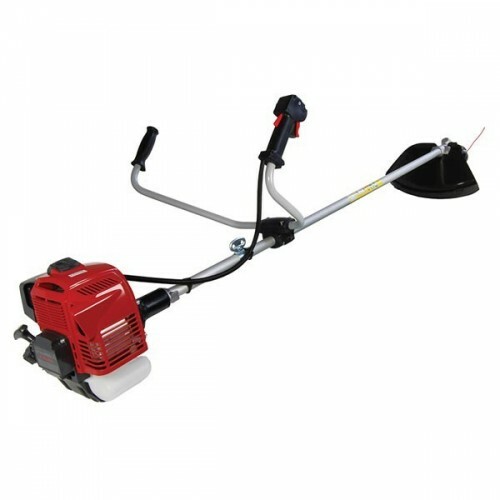 Lightweight and well balanced, this brushcutter also features a 26mm diameter straight aluminium shaft, bike handles and an anti-vibration system for comfortable extended use.